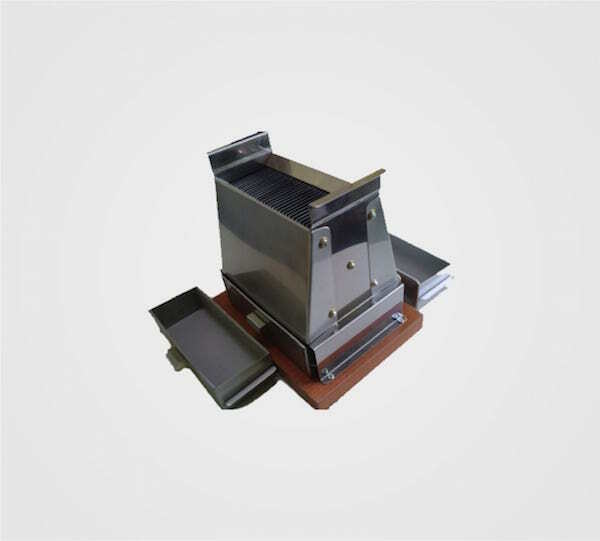 Stainless steel riffle divider for rice with 32 channels. Designed to meet the need of rice grading, it can handles 5kg of sample. The size and slope of the channels allow a smoother fall without damaging the grains. Dimension: 24x18cm / 9 1/2"x7"
Four (4) drawers with rubber bottom for cushioning and protect the grain from damage.